Creamy Brussels Sprouts Soup | "What's Cookin', Mamele?" 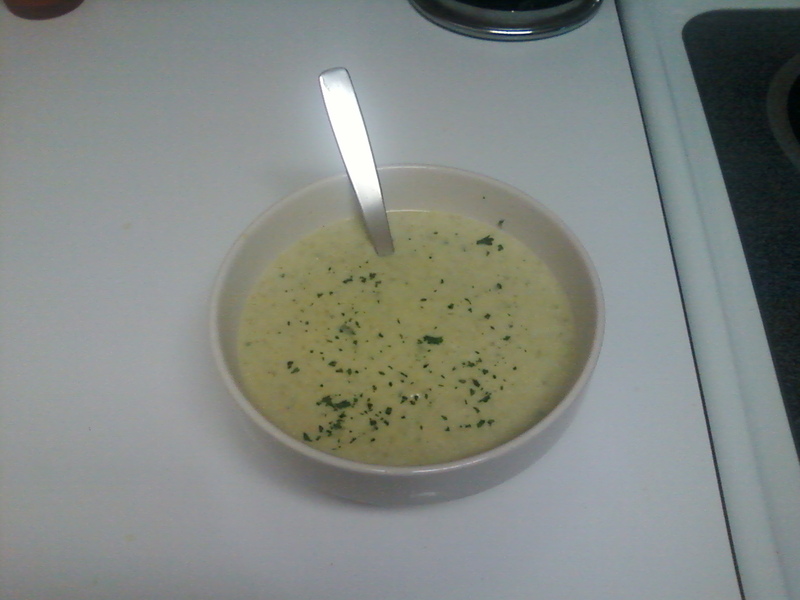 All of this rain has put me in the mood for some hot and creamy soup. I know it’s still hot outside, but this is a great recipe for snuggling indoors and pretending it’s already autumn. This recipe is also jam-packed full of calcium between the Brussels sprouts, the cheese, and the milk. Bring the water to a boil in a medium saucepan and then add the Brussels sprouts. Boil until sprouts are tender. Pour water and sprouts into a food processor and pulse to desired consistency – about 30 seconds will yield a creamy soup with still a little tasty texture. Return the Brussels sprouts purée to the saucepan and add milk, salt, pepper, garlic powder, and paprika. Once the soup is hot, remove from the heat and melt in the cheese. Garnish with parsley. Have updates conveniently sent to your email.